In 1991 Lisa began her legal career as a litigation attorney with Streich Lang in Phoenix. In 1994 she moved back to her home state of Texas to work as a tax attorney with the Dallas law firm of Johnson & Gibbs. When Johnson & Gibbs disbanded in 1995, Lisa began practicing family law in Plano. In 1997, Lisa partnered with Sharon Easley to form Easley & Marquis. After 15 years in practice with Sharon, Lisa joined with Hastings Hanshaw and Collin Kennedy in 2012 to start a family law practice with the firm of Hanshaw Kennedy Marquis. 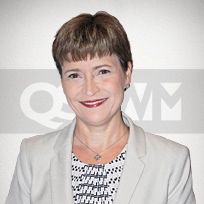 In April of 2015, Lisa joined the firm of Quilling, Selander, Lownds, Winslett & Moser, P.C. to head up their Collin County office, which opened in Plano on April 1, 2015. Lisa is well known for her work in collaborative law, successfully handling more than 100 cases. She has been secretary, vice-president and president of the Collin County Bar Association, chair of the Collin County Bench/Bar Foundation and vice-president of the Plano chapter of the American Business Women’s Association. She is an active member of the Association of Networking Professionals, in which she has held the positions of Vice-President and President for multiple terms. Lisa has also served as a Girl Scout Leader in Celina and on the church council of Rejoice Lutheran Church in Frisco. Lisa Marquis believes in settling family cases collaboratively whenever possible. Her clients view the collaborative process as a way to better control the outcome of their case and reduce stress and trauma to their family. Divorce is certainly an ending, but Lisa also sees it as the beginning of a new family unit. She believes that the collaborative process can smooth the transition for you and your children. Lisa also understands that some cases cannot be handled collaboratively and also effectively represents clients in contested matters that are presented to the court for determination. However, even in those contested cases, Lisa uses her training as a collaborative attorney to minimize the level of conflict between the parties, and endeavors to always put the best interest of the children first. Even in cases that need to be handled through the more traditional litigation process, Lisa strives to be part of the solution and not part of the problem.